Click logo to access the ‘cosco’ of all nutrition supplements! gives guidance on quality. Prices often lower than Amazon. Use practitioner code Gboley. 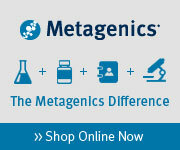 Click on Metagenics Icon for Georgia’s Professional Grade Nutrition Supplement Metagenic Store. Use practitioner code Gboley. Want to control portions?? Here is an amazing answer! !